Your wedding bouquet should reflect your personality, coordinate with the bridesmaids and complement your dress. The bridal bouquet is also an expression of love and a work of art. 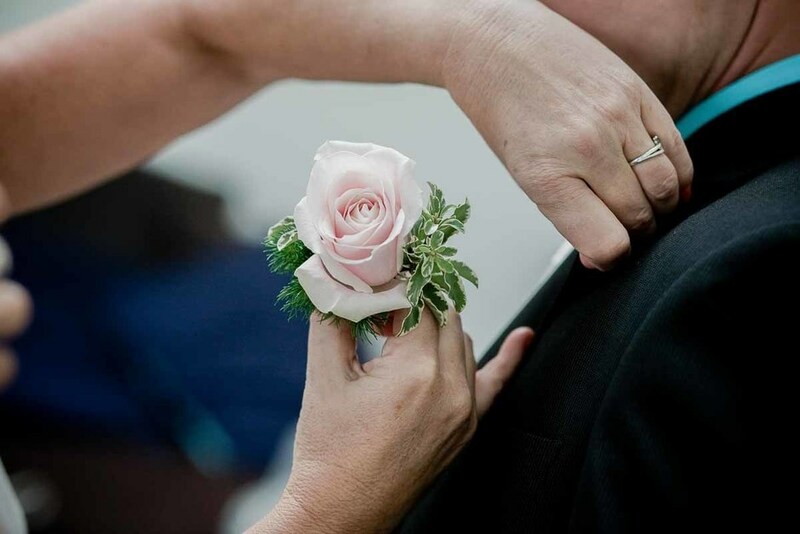 The flowers you carry down the isle should be carefully planned to coordinate with the colors and décor of the wedding. The flowers the bride carries should add the special touch that completes the look. The bridal bouquet is typically larger than those carried by the bridesmaids. Since the bride is usually wearing white or off-white the color in the bouquet will be a nice contrast. The look of the bouquet should be of proper proportion to the size and intricacy of the gown. If the wedding gown is full and wide a small bouquet may get lost. Similarly, a large bouquet does not work well with a slim fitting dress. Choose the type of flowers in the bridal bouquet to complement the dress as well. Larger types of flowers work well with larger dresses while smaller blooms look nice with more delicate dresses. A good floral designer can help you choose your flowers based on look and price to create the special look you want. Always try to view a sample of the actual floral work of a florist before you sign a contract. Reputable florists will give you permission to view their work at other weddings.